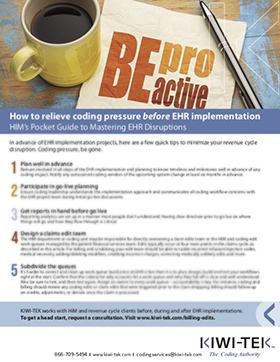 Wouldn’t it be nice to relieve coding pressure before EHR implementation? Here is your pocket guide to mastering EHR disruptions. In advance of EHR implementation projects, scan a few quick tips to minimize your revenue cycle disruption. Coding pressure, be gone.